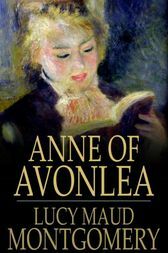 Anne of Avonlea continues the story of Anne Shirley (heroine of Anne of Green Gables). She is now the school teacher at the Avonlea school, and takes to her new responsibilities with great vigor and sometimes questionable results. Many of the characters from the previous novel appear again, as well as some new ones.